For more information about Miss, Junior Miss, or Little Miss Silver Spurs call the Silver Spurs Office at (321) 697-3495. 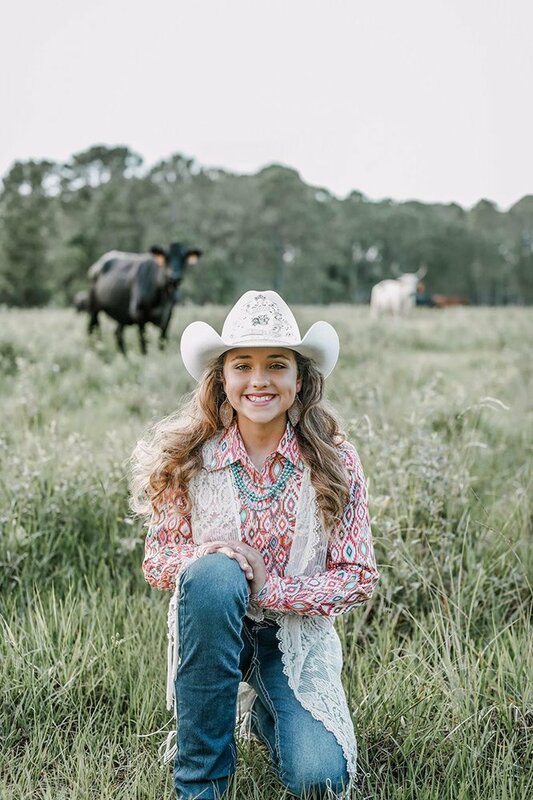 Haylee Marie Crosby is 15 years old and the daughter of Russell and Star Crosby of Fort McCoy, Florida. She is currently a high school homeschool student in the Advanced International Cambridge University Program (AICE). Haylee aspires to become a registered nurse one day for the trauma unit. She is also involved in several clubs and organizations such as the Beta program, 4-H program, and her community’s outreach service program. Outside of school, Haylee enjoys being a sibling to her two sisters, Maranda and Heaven, and her four brothers, Tyler, Jyrad, Jaxson, and the youngest, Trenton. She also has a compassionate love for agriculture, people, and wildlife. 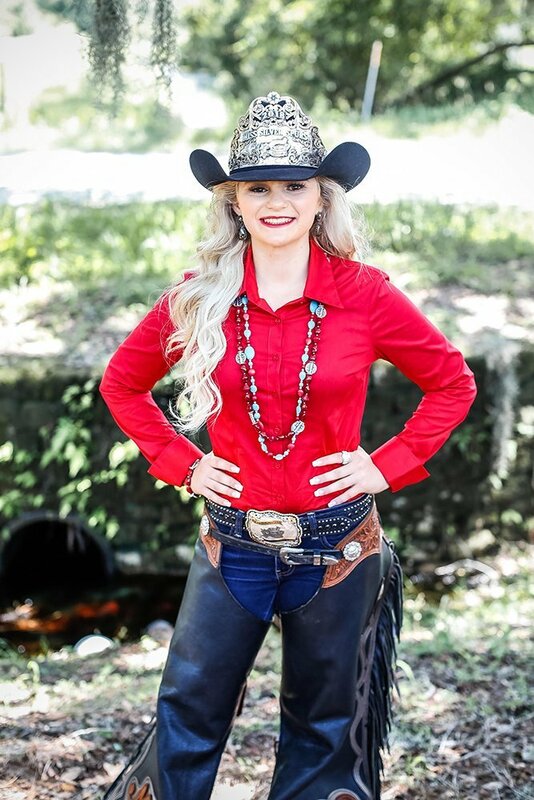 In Haylee’s free time, she enjoys training colts, barrel racing, trail riding, fishing, hunting, shopping, the beach, and spending quality time with her family. Haylee’s parents are dedicated to raising respectable young adults with love and knowledge that will ensure preserving and promoting our county and state’s natural history. Ansley Elizabeth Bo is a 13-year-old Osceola County native. Ansley is the daughter of Sig and Angela Bo and is the youngest of five children. Ansley is well-rounded in academics and athletics. She is a straight-A student in the eighth grade at St. Cloud Middle School. Her middle school softball team is the 2018 Osceola County Champions. She is also a member of the 5x District Champion softball team for the St. Cloud Little League and Ewe-Neek County Kids 4H. Along with softball and 4H, Ansley loves volunteering in the community, horseback riding, going to the beach, and taking pictures. many more pageants in the future. Emma Renee Boisclair is the oldest of David and Lacey Boisclair’s three daughters of St. Cloud, Florida. She is 11 years old and is in the sixth grade at Harmony Community School. Emma enjoys horseback riding and playing softball. Her favorite position to play is 2nd base. She is a member of the “Ewe-Neek Country Kids” 4-H club, and she will be showing a market hog for her fourth year. Emma is an animal lover and hopes to attend the University of Florida to become a Veterinarian. 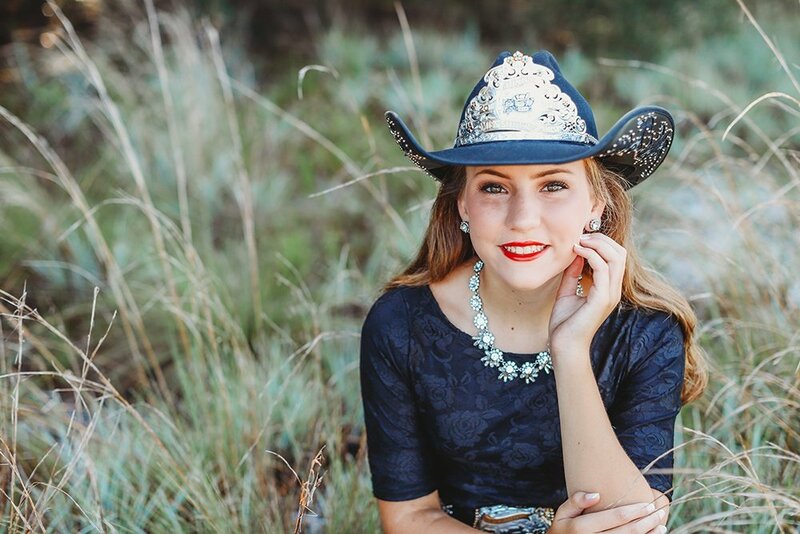 She is honored and thrilled to represent the Silver Spurs Riding Club and the sport of rodeo.